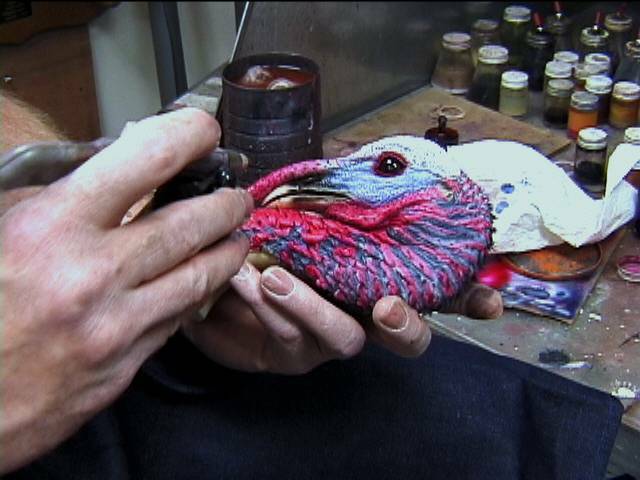 If you want to mount a beautiful strutting turkey, this video is for you. Harry starts with a turkey that has already been cased-skinned (leg-to-leg incision). Covers fleshing, washing/drying & preserving the skin, and then proceeds to form preparation, wiring the legs & wings, complete mounting and finishing procedure, including injecting the feet and grooming. INCLUDES painting the head and feet. For a DVD showing the Leg-to-Leg Skinning, click here.